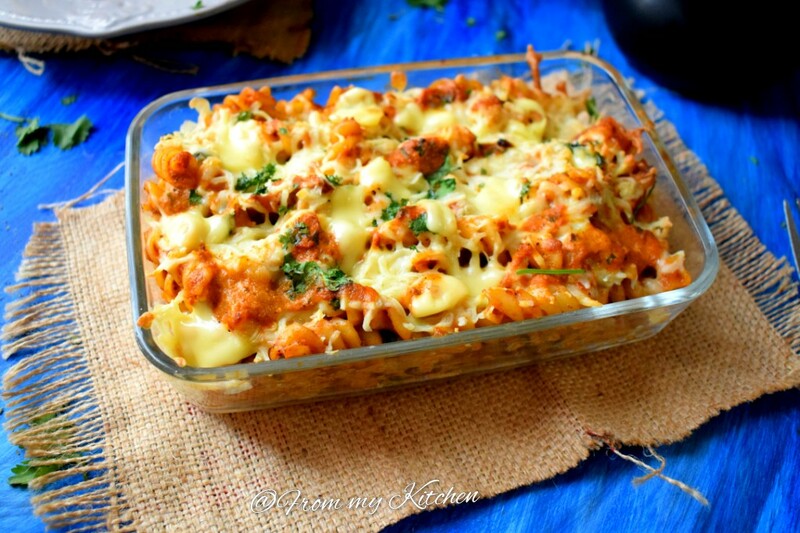 What will you do when you are craving for something spicy, creamy and cheesy??? 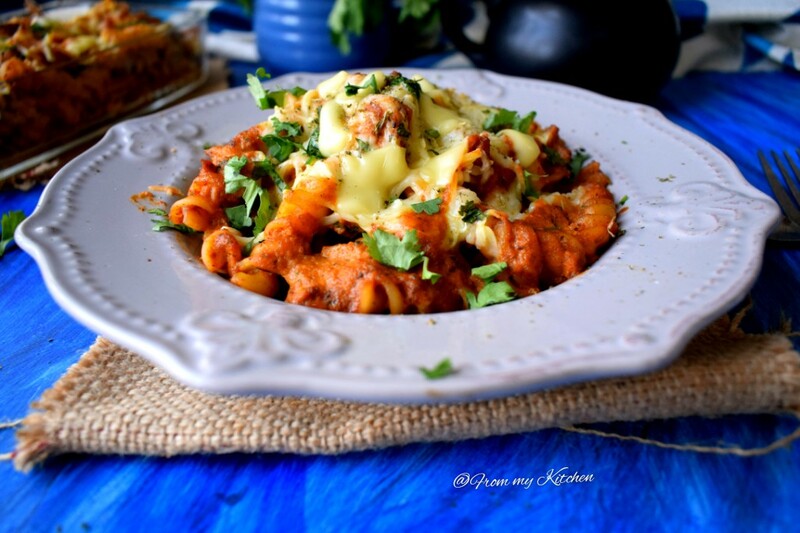 ?Yes Butter Chicken Pasta, an Indo Italian fusion dish that urges you to have more and more!It was soo so yum,with that stringy gooey cheese and the Indian flavors along with pasta, a must try! 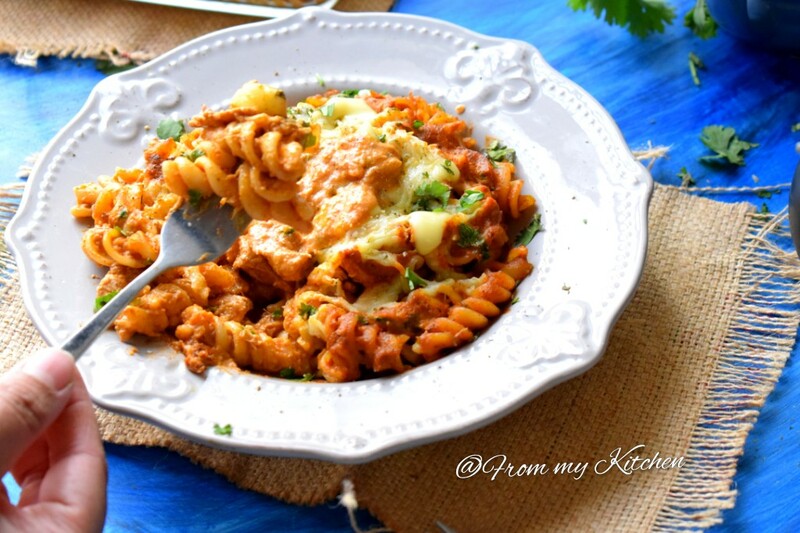 I was not sure if the flavors blend well, then thought I must try it once to know the flavor and wala it was a success!Riz enjoyed it and said great Indian flavored pasta!I’m so happy that i tried it this way and got one more fusion recipe!If you are someone like me a butter chicken and pasta lover, then this one will be a killer for you! 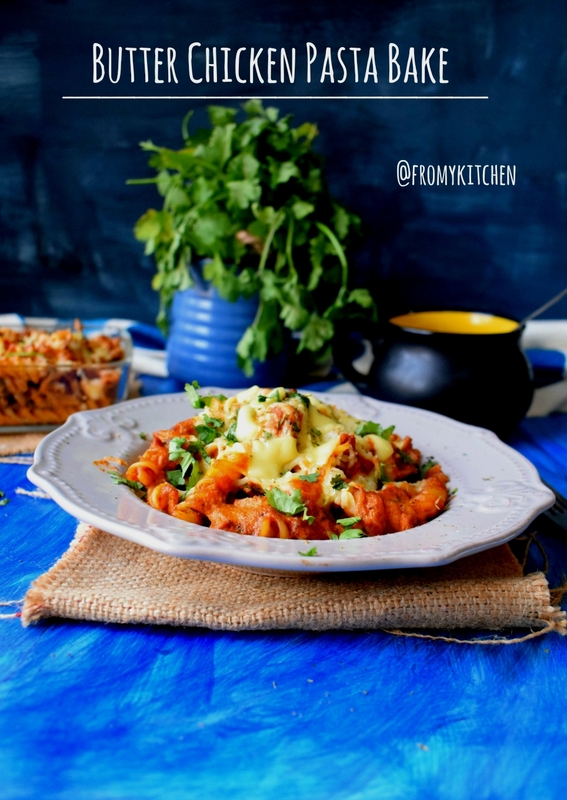 I already shared a perfect butter chicken recipe which is same like restaurant style.I used the same recipe here.I preserved some to devour with chapathi! !shh!For cheese, i like mozzarella along with some slice or processed cheese.Kids too liked it, Kashif said it’s spicy yet tasty. (Might be the green chilly was too hot than normal). Marinate chicken with above-listed ingredients for at least 30 minutes. In the same pan add roughly chopped onion, tomato, green chilies. cashews and cook until soft.Add a tsp of tomato paste and some water let it cook for few more minutes and switch off the flame.When its cool enough blend it to a smooth paste. In the same pan pour butter add ginger garlic and saute well then pour the blended mixture add salt, chilly powder, cumin powder and mix well pour 1 cup water and let it cook for some time then add the grilled chicken mix and coat it well in the gravy then add cream, methi and mix well.Add coriander leaves and switch off the flame. 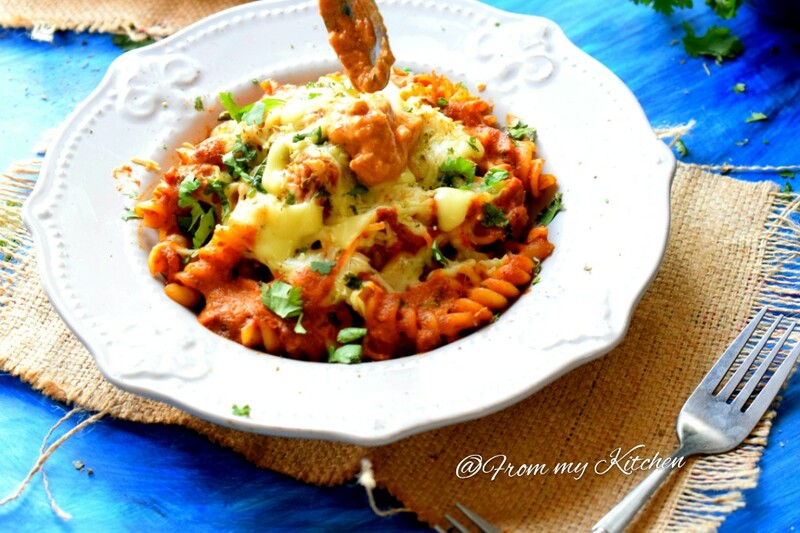 Mix it with cooked pasta spread it on a baking tray spread the cheese and sprinkle some more kasuri methi and cilantro. Bake it on a preheated oven at 200 degrees for 10 to 15 minutes and dig in! I added some extra bit of tomato paste to the gravy. 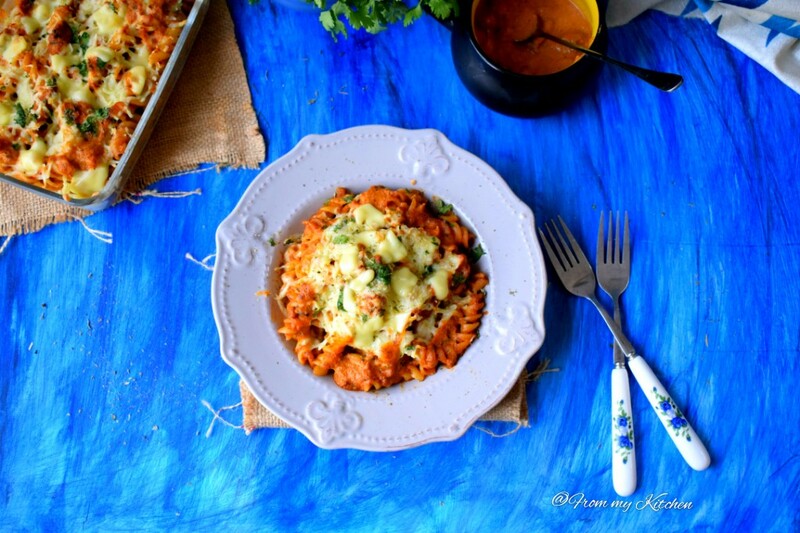 You can avoid the extra calorie by skipping the cheese and baking part!Both way it was yum! 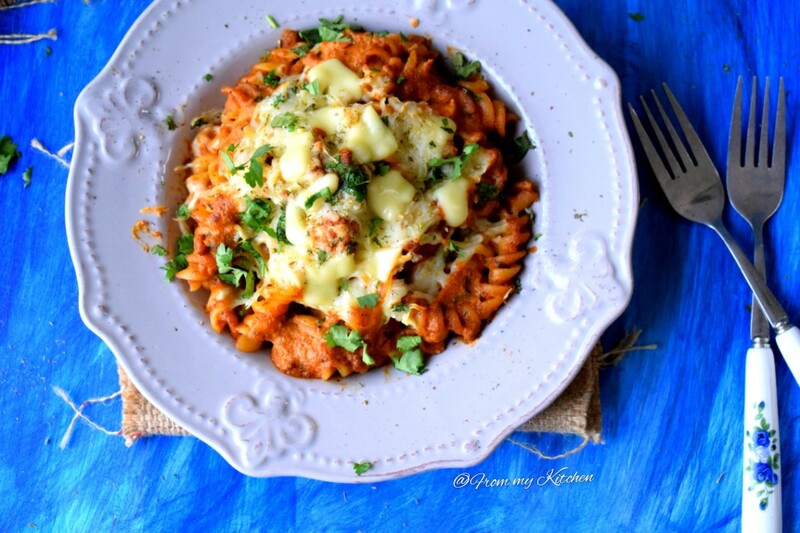 Relish this cheesy masaledar pasta hot when the cheese is oozing out!